Need help? Our insulation experts are trained professionals in providing the correct insulation for your Winnipeg home. Spray foam provides a vapour seal, a draft stop, and a high R-value for attics, walls, basements and crawl spaces. Our CUFCA certified installers take care of everything. Cellulose insulation minimizes air and draft infiltration in walls and attics, maintaining high R-value at very cold temperatures. Our certified technicians can inform you when this is the best option. Fibreglass insulation is commonly used to augment insulation on attic knee walls, and between the framing studs for basement insulation, often coupled with spray foam. We can quickly remove your ice dams with high-power steam before they destroy your home's roof. We test and and analyze your property to find where your insulation is underperforming. Then we provide solutions that address the actual need. 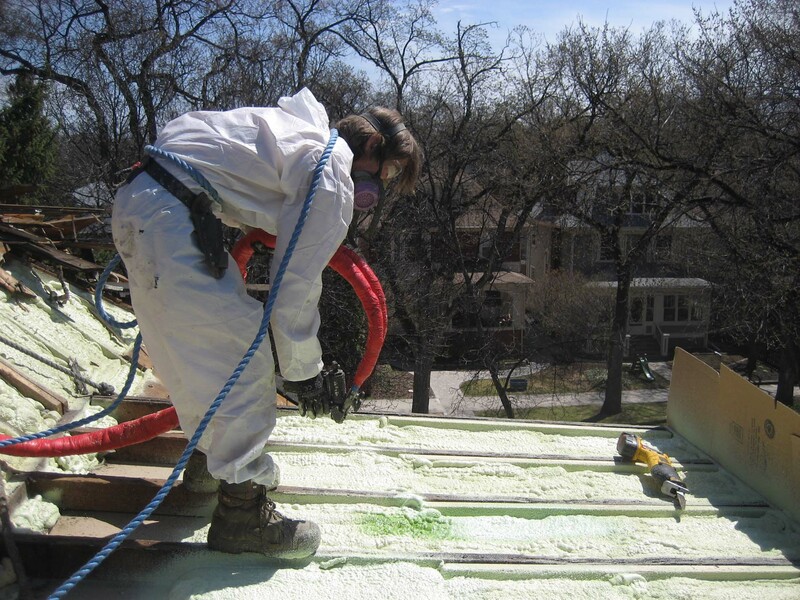 We consist of specifically trained insulation, roofing, and aluminum teams. Whatever the need, we can do it. Insulation, siding, eavestrough, roofing, soffit and fascia. From our initial meeting, to our job completion we talk to you to answer your questions, learn from you, and ensure you are happy. With over a decade of experience and thousands of jobs completed in Winnipeg, Above All Insulation strives to be an industry leader in quality and service. Our services include home insulation, attic insulation, including spray foam insulation, as well as rooftop snow removal and repairing ice dams. Our goal is to provide you with the best renovation experience you’ve ever had. We guarantee the work performed by our certified insulation professionals, to ensure that Winnipeg homes are performing at their best. We treat your Winnipeg home as if it was our own.